THE island tourism sector in Queensland is doing it tough, with a combination of cheap airfares to Indonesia and a lack of investment stifling development. In the north of the state, business owners like Scotty's Beach House owner Boyd Scott are still reeling from the effects of Cyclone Yasi, 15 months after the eye passed over Mission Beach. And in the south, from the Fraser Coast to Airlie Beach north of Mackay, the majority of island hopping tourism ventures are suffering from a lack of demand. National Tourism and Transport Forum chief John Lee on Monday also told APN Newsdesk the industry could no longer compete with cheaper options in Indonesia, and the fall in demand from domestic tourists meant business owners could not justify investing more in their hotels, backpacker resorts and fishing charters. Mr Lee said some 70 per cent of tourists who used to frequent the islands of the Great Barrier Reef, had fallen sharply in the past two years, as cheap airfares and service in south-east Asia had become more cost effective for Australians than travel in their own country. Mr Scott said since even before Cyclone Yasi, conditions were not good, but a year after the cyclone, he had decided to up-root his family to move north to Cairns. While he still owns the backpacker hostel, he said the hostel was now filled with labourers working in the sugar cane fields and builders fixing the damage caused by the cyclone, rather than tourists. He said he believed Mission Beach - the doorway to once-popular Dunk Island - was suffering because business people could not afford to invest, and all levels of government were not prepared to back a large infrastructure project in the town. 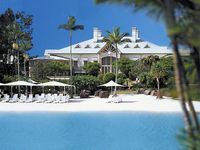 Mr Lee said while the picture was better for Hamilton and Hayman Island - both backed by large international companies - the majority of the Queensland coast's smaller family owned tourist businesses were "either struggling or closed". "Places like Brisbane and Townsville have been largely inoculated from the downturn, due to business travel," he said. "And while Mackay and Gladstone are doing okay because of the increase in miners to the area, places an hour or two down the road - like Airlie Beach or Rockhampton - are not doing so well. 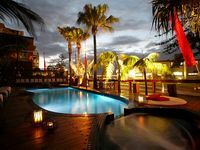 "So instead of heading to regional Queensland and to the smaller islands, or places like Port Douglas, Queensland's really been a victim of the sparkling Asian market." In a budget submission to the Federal Government earlier this year, the TTF proposed the government produce a one-off package to Queensland's tourism industry. Mr Lee said that if "one-tenth of the amount the government has given the car industry in subsidies was spent on the Queensland tourism industry, business owners could improve their infrastructure and make the sector more attractive". "We're asking for the Federal Government to allow accelerated depreciation be applied to the industry, so that if a business owner puts say $2 million into improving their facilities, then the government will allow them to claim that back over the next five years," he said. "Currently, that can only be claimed back over the next 20 years, and a business just can't wait that long." Mr Lee said he had already had positive talks with the government, but was not sure if there would be anything in next week's budget. The backpacker industry and Queensland's island tourism will be on the agenda on when industry heavyweights gather on the Sunshine Coast for the Australian Tourism Export Council gather for its annual conference.